I've been following the blog for a while and its hands down one of my favourite places on the web. Thought you might be interested in one of mine, which I don't believe has graced the pages of Guitarz yet. It's a 1980 Westbury Deluxe in aged walnut given to me by a friend a number of years ago. It was in a bit of state, covered in stickers, etc. A bit of TLC and she's looking a lot better and plays wonderfully. The small amount I have been able to dig up on these is that they have a hard maple body with a carved top, rosewood fretboard and DiMarzio pickups. The bridge is a Dual Sound DiMarzio (selectable via the microswitch near the pots) and the neck is a DiMarzio Super Distortion. The Westbury brand was one used by Unicord and these were built by Matsumoku. That's about all I know, but anymore that you guys or readers are able to provide would be a bonus. Hi Gideon, thanks for sharing the photos of your guitar with us. For a guitar that had seen better days and was covered in stickers, you've done a good job at cleaning it up. My understanding of the Westbury brand was that it was a pre-cursor to the Westone brand, or you could say that Westbury was re-named Westone. All the Westone trademarks are there (the shape, the chunky metal hardware, use of DiMarzio pickups), and you can't deny that there is a similarity to the Westone Thunder series guitars - although the arched top and German carve on the Westbury Deluxe make it look a lot more upmarket than the slab-bodied Westone Thunder. The dates of operation of these two brands would seem to confirm this theory. 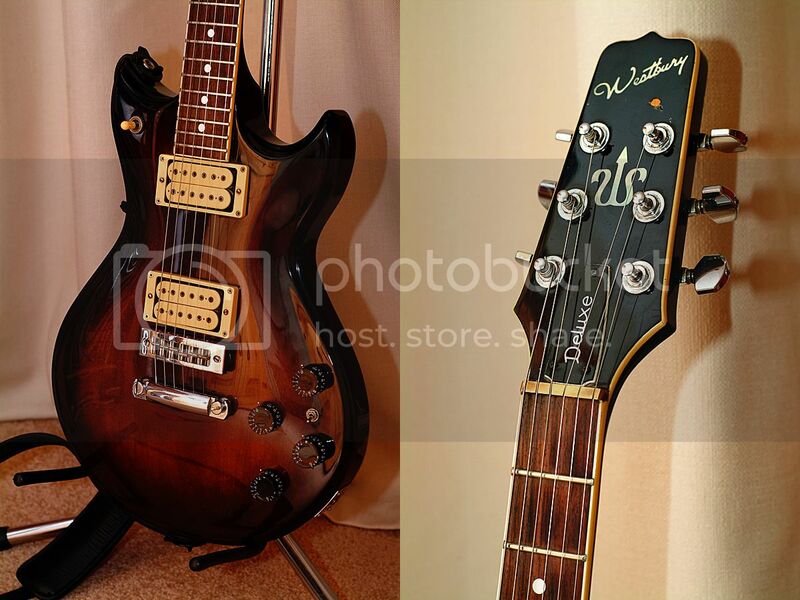 The Westbury brand was in operation from 1978 to 1981, and then Westone guitars were produced from 1981 to 1987 when Matsumoku ceased production and the Westone name was transferred to Korean-made instruments with a few upmarket instruments being produced in Japan circa 1990. I remember drooling over Westburys in the Kays Catalogue when I was little, along with the various Kay guitars like the synth Les Paul model. 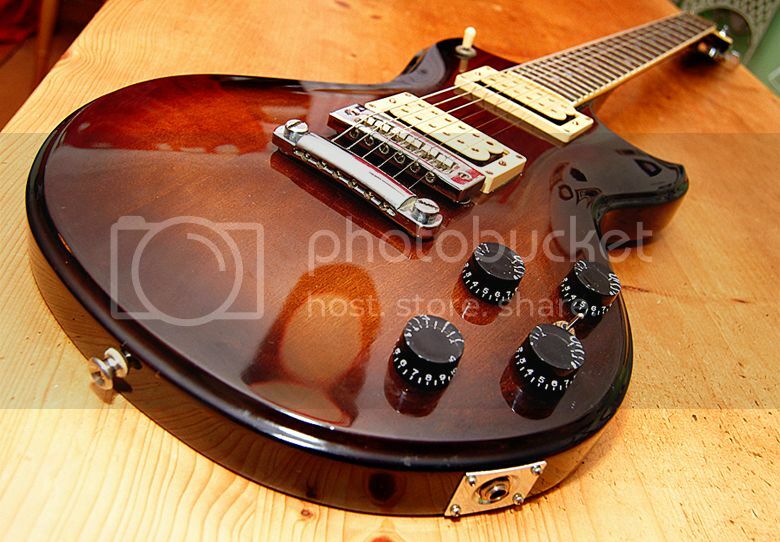 This one looks really good, reminding me of a Yamaha SG. It's what it's worth to you as a musician that counts, not its potential re-sale value. Any pics? Westbury Guitars will be manufacturing new guitars sometime in 2016. westburyguitars.com should be up and running by April 2016. Westbury Guitars will be unvieling it's new line of guitars sometime in 2016. westburyguitars.com should be up and running sometime in April 2016. I have one these guitars but the case broke years ago cant find one for sale for the life of me.